Former president Mohamed Nasheed’s wife, Laila Ali, is continuing a high-profile campaign in Europe to free her husband. 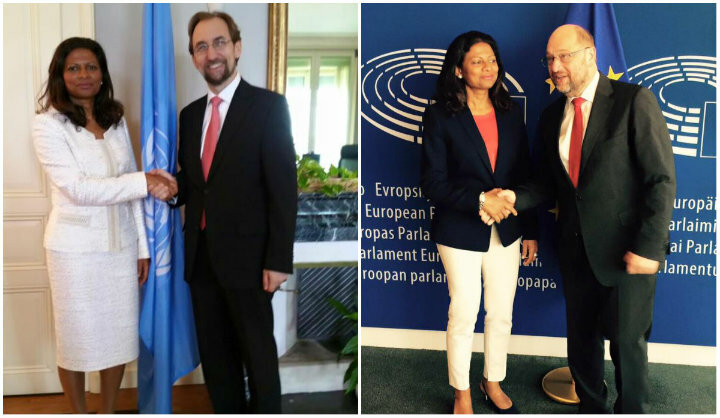 The former first lady met with the president of the European Union parliament Martin Schulz in Strasbourg, France, on Tuesday and met the UN high commissioner on human rights Zeid Ra’ad Al Hussein in Geneva, Switzerland, on Wednesday. Nasheed’s trial on terrorism charges was widely criticized for apparent lack of due process. 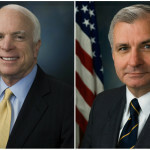 The UK prime minister David Cameron, the European Parliament, and US Senators John McCain and Jack Reed have called for his immediate release. The opposition leader was transferred to house arrest in late June amidst mounting diplomatic pressure. 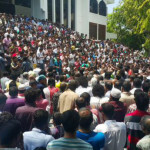 “We are hopeful, but cautious,” said Hamid Abdul Ghafoor, the spokesperson of the main opposition Maldivian Democratic Party (MDP). 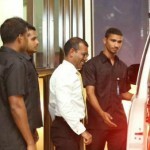 Nasheed was sentenced to 13 years in jail over the military detention a judge during his tenure. The MDP and the government recently commenced talks, but a third meeting was cancelled tonight as some ministers are out of the country. The opposition has also backed a constitutional amendment that would allow President Abdulla Yameen to replace his deputy as a confidence building measure. An aide who had accompanied Laila on her Europe trip said she had discussed Nasheed’s imprisonment and the human rights situation in the Maldives during her visits. She met with EU MEPs in Brussels on Monday before calling on Schulz and Al-Hussein. “The government needs to demonstrate its sincerity by freeing all political prisoners, including Nasheed, and ensuring they can fully return to public life,” the aide said. In April, the EU parliament adopted a resolution calling for Nasheed’s freedom, and requested member countries to warn travelers on the human rights situation in the Maldives. Heavyweight international human rights lawyers including Amal Clooney, the wife of Hollywood actor George Clooney, have taken up Nasheed’s case at the UN working group on arbitrary detention. A ruling is expected in September or October. The government has hired a law firm chaired by Cherie Blair, the wife of UK’s former prime minister Tony Blair, to respond to the petition. Meanwhile, Cameron has called for political dialogue in the Maldives and Nasheed’s release following a meeting with Laila on June 25. The former first lady had also met UK MPs and Hugo Swire, the minister of state, foreign and commonwealth office in her visit to London in late-June.